The charter-school window is closing fast and many 2020 Democratic hopefuls will likely get hurt as it snaps shut. Part of the phenomenal success of the charter-school movement since 1991 has come from its ideological flexibility. As Queen Betsy stiffens that ideology into a sour blend of Jesus, Koch, and Trump, it looks as if Beto O’Rourke, Elizabeth Warren, and Cory Booker will all face awkward questions. Kneel before the charter-school Queen!!! Like many changes in America’s culture-war landscape, this one happened fast. Since 2016, charter schools have been seen more and more as a conservative scam, a way to rob public schools of needed funding. Why? The honors should go to Queen Betsy. Her single-minded focus on increasing “choice” has made it difficult for anyone else to agree. It wasn’t always this way. Of course, some on the left have always abhorred charter schools. But others haven’t. The unique appeal of charter schools between the 1990s and 2016 was that they appealed to everyone who thought public schools were lacking. And lots of progressive folks have always found big problems with public schools. Exhibit A: My student-teaching mentor back in the 1990s. He was the best teacher I’ve ever seen, and he was chomping at the bit to start a charter school as soon as Missouri passed its charter law. For him, it was all about cutting red tape and getting educational resources into the hands of underserved kids. He and a small group of fellow progressives had outlined their plan for a wrap-around progressive school, one that would use truly child-centered teaching methods and provide a host of other services for families such as day care, medical care, and meals. I LOVE–erm…I mean I HATE charter schools. Or consider activists such as Milwaukee’s Howard Fuller. Though prominent civil-rights groups such as the NAACP oppose charters, Fuller has always seen them as the best hope of low-income African American families. For families trapped in dysfunctional school districts, Fuller argues, charters and vouchers provide a desperately needed escape hatch. 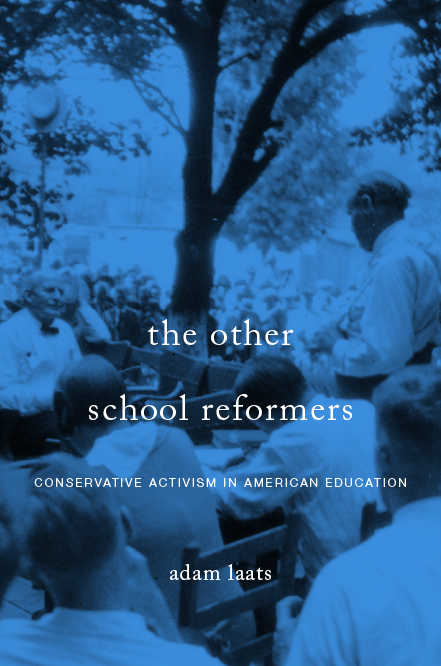 In the past, then, charters and “choice” were embraced by both the left and the right. Anyone who thought the current public-school system was failing could jump on the charter-school bandwagon. For politicians who wanted to be seen as “doing something,” charter schools were the thing to do. That has changed, though, and today’s leading Democrats will find themselves hard pressed to explain their pro-charter pasts. We will not allow our public tax dollars to be taken from our classrooms and sent to private schools. However, back when it was fashionable for hyper-educated dilettantes to open charter schools, his wife did just that. Cory Booker might be in an even worse position. Backed by Facebook and Oprah, then-Mayor Booker endorsed a huge expansion of charter schools in Newark. The crisis in education is not only a crisis of reading and arithmetic; it is also a crisis in middle-class family economics. At the core of the problem is the time-honored rule that where you live dictates where you go to school. . . . A well-designed voucher program would fit the bill neatly. Unfortunately for these Democratic hopefuls, the tide has turned and they will be left high and dry. It’s not fair, of course. Back when Booker, O’Rourke, and Warren touted “choice,” they had every reason to think they were on the side of the progressive angels. Thanks to Queen Betsy, however, supporting charter schools these days feels like a deal with the devil. I admit, at first I pooh-poohed the story as just another example of wacky boorish Trumpism. The more I think about it, though, the more I’m hoping the Smithsonian will relent. Thanks to the ever-watchful John Fea, I’ve been following the story of artist Julian Raven and his Trump fan art. Raven has sued the Smithsonian to force the museum to display his portrait of Trump, “Unafraid & Unashamed.” So far, no dice. The gallery told Raven the painting was too big (it weighs 300 pounds), too political, and too terrible. But the people love it. Attendees at the recent Conservative Political Action Conference lined up to have their pictures taken in front of the monstrous painting. I just had the words go through my mind: ‘unafraid and unashamed’. . . . The image in my mind was this soaring flagpole, a U.S. flag pole falling to the ground. Right before it falls to the ground, an eagle swoops in and snatches it. What should the Smithsonian do? Put it up! Here’s why: Nothing could capture the Trump era better than this gauche, over-sized, childish portrait, composed in a flurry on a sudden impulse and surprisingly beloved by conservatives. Even better, the artist is complaining—unburdened by any knowledge of the actual Constitution—that he has a First Amendment right to cram his painting into the Smithsonian. Furthermore, Raven insists that a left-wing conspiracy is the only thing keeping his portrait out of the National Gallery. When future generations want to understand Trumpism, what could be better than this yuge painting, accompanied by a placard (or better yet, video interview) explaining the artist’s schlock-vs.-Goliath story? Has Trumpism killed the New York Times? At Esquire. It’s a done deal in classrooms, at ILYBYGTH. Still not Fonda Jane: Upstate town breaks with museum over her induction to the Women’s Hall of Fame, at RD&C. What do standardized tests measure? North Carolina study finds higher results are tied to food at home, at Chalkbeat. It’s the least-bad option, says Stanley Kurtz at the conservative National Review. A dangerous unintended overreach, says one conservative pundit. Just plain dumb, says president of University of Chicago. Harris 2020! Democratic hopeful promises big pay raises for teachers, at NBC. Here’s why it won’t work, at Forbes. Another step toward the teacher as widget: Michigan uses temp agency to provide its substitute teachers, at DFP. Using prayer as a culture-war weapon in PA, at The Hill. St. Louis school board candidates endorse teaching creationism, at FA. Bad news for historians of American evangelicalism: Billy Graham’s papers might leave Wheaton, at TWOILH. Are Methodists heading for a split? At R&P. Could it help? What admissions lotteries at fancy colleges might look like, at NPR. What will Westmont College do with its White Jesus? At RA. Westmont’s “White Jesus”–stay or go? What people who aren’t teachers don’t understand, at Curmudgucation. They don’t agree on much. But on this they do agree: MMR vaccines are not good for their kids. In my great home state of New York, Orthodox Jewish groups and rich hippies are uniting on this one issue (sort of). Why? As I’m arguing in my new book about creationism, it’s not really about God or ethics or any of that stuff. It all comes down to Billy Joel. Here’s what we know: In Rockland County, New York—just northwest of New York City—the government has taken drastic steps to ban unvaccinated children from all public places. A measles outbreak has led to this unusual measure. Traditionally, most states allowed parents pretty wide leeway in religious and moral exemptions to mandatory-vaccination laws. Today’s outbreak is forcing a re-think of those exemptions. What does it have to do with Orthodox Judaism and hippie culture? In this case, a lot. The unvaccinated children are clustered in private schools, some of them Orthodox Jewish schools and others from a fancy-pants Waldorf school. In general, the cultural worlds of these two schools could not be further apart. In one thing, though, the parents agree, and this one thing is at the root of the measles problem. a feeling that their worldview is not in keeping with modern secular society, said Samuel Heilman, a Queens College sociology professor who has authored several books about Orthodox Jews. “It’s about a view that we have our ways and they have their ways,” he said. When it comes to measles vaccines, many parents in the Orthodox community simply do not trust the experts, and it is that distrust that brings Orthodox and hippies together. create a social, cultural, and learning environment that recognizes the child’s spiritual freedom and growth. . . . Rather than teaching to the test or adhering to Common Core standards, the Waldorf curriculum fosters independent, critical thinking and problem solving, develops ethics and morality, and promotes true joy in learning. The progressive, child-centered world of Green Meadow may be totally different from that of Orthodox schools, but the parents share one fundamental beef. Just like skeptical Orthodox parents, anxious Waldorf parents share a virulent distrust of the medical establishment. They feel it so strongly they are willing to put their children’s health on the line. They probably wouldn’t agree on much else, but they might agree with Billy Joel that it’s always been a matter of trust. Posted in Child Parent State, In the News, Tradition in the Classroom, What is school? What do you think? Is Senator Harris’s new plan to raise teacher pay a real winner? Will it improve public schooling? Or is it just an election-season stunt, a way to gain attention without really solving any problems? According to the Harris campaign, the goal is to eventually increase teacher pay by an average of $13,500 per person, putting it in line with typical salaries for other employees with college degrees. Campaign materials pointed to research by the left-leaning Economic Policy Institute that found teachers make 11 percent less than college-educated workers on average in combined salary and benefits. Under the California senator’s plan, the federal government would finance 10 percent of the total pay increase for the first year and then pay out 3 dollars to states for every 1 dollar they put into additional salaries. It would commit additional funds to further increase salaries for teachers in highest-need schools along with a “multi-billion dollar investment” in career development for educators. Half of it would go toward teachers studying at historic black colleges and universities (HBCUs) and other institutions with predominantly minority students. the top 25 hedge fund managers earned more than the combined income of 425,000 public school teachers. But Sanders didn’t offer the kind of detail that Harris has laid out this year. Clearly, the echoes of teacher strikes over the past two years have changed the political landscape of progressive politics. I don’t know that it’s being proposed as actionable legislation so much as a marker. . . . Republicans, in particular, are nervous about once you open that barn door, just how involved Washington winds up getting in local education decisions and deciding who gets hired, how they get compensated. If a Dem wants to score points with teachers, pledge to kill test-driven faux accountability. Pledge to champion public ed over privatization. Pledge to put actual educators in charge of Ed Department. Get the federal government out of teachers’ way. And don’t make teachers have to negotiate with DC for their next raise. We’ll know more later today, but so far Liberty’s men’s basketball team has already paid off one of the most remarkable gambles in American higher education. SAGLRROILYBYGTH know the story: Back in the 1970s, as I detail in Fundamentalist U, Moral Majoritarian Jerry Falwell dreamed of elbowing his way into elite higher-ed circles. Back then, it didn’t seem at all likely. In the 1970s, the school that became Liberty University had a squalid little campus, overcrowded classrooms, and no money to pay its faculty. About twenty years ago, though, second-generation leader Jerry Falwell Jr. won the higher-ed lottery by continuing the long evangelical tradition of non-traditional distance education. Turns out online education was an incredibly lucrative business at the time, and Falwell Jr. plowed his billions into fulfilling his father’s dream. Falwell invested in traditional markers of prestige in higher-education, including high-performing sports teams. As we’ve seen, they’ve scored big successes in football and now they are poised to be this year’s Cinderella story in the NCAA men’s basketball tourney. Later today, they’ll take on Virginia Tech, having clambered over #5 Mississippi State. Whatever happens in today’s game, having Liberty teams considered part of the usual landscape of elite college sports already signals a huge win in the Falwells’ long-term strategy. As have other groups before them such as Catholics at Notre Dame and LDS at Brigham Young, Falwell Jr. hopes that Liberty can sport its way into the roster of high-end American universities.